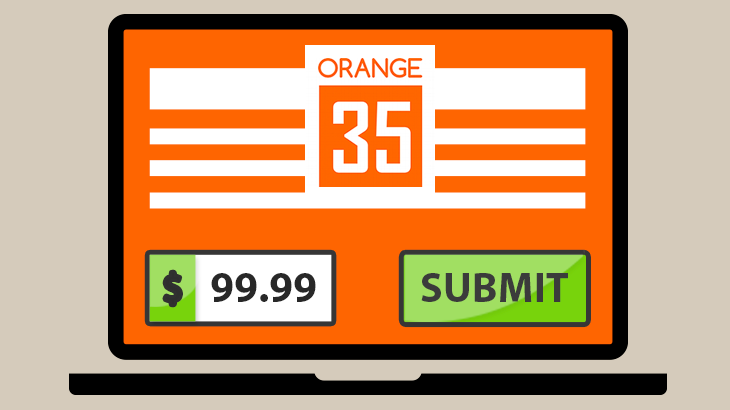 Great news, Orange35 team is happy to present our brand-new and easy-to-use Magento Custom Invoices Generator. Now, online entrepreneurs will have a chance to save the precious time and create invoices with this Magento Extension in a blink of an eye. It is very easy-to-use and will come in handy for quick and fruitful cooperation with your clients. Just create a Custom Invoice for your client, send it, and get paid via PayPal without a need to login into the store account. This Magento Extension is designed for your convenience. So, stop pondering over the best way to generate an invoice. Manage it within your store, isn’t that great? Every minute of delay while working with customers costs money, so it is needed to optimize the time as much as it is possible. With the help of Custom Invoices Generator for Magento, you will have an opportunity to share the invoice URL in a few clicks. Just log in to your admin panel, set the amount you need, grab the link and send it to the customer. Once the invoice is paid, you will be notified via email. Moreover, the clients will be able to pay partially or all amount at once via PayPal that is one of the most trusted payment systems in the world. Besides, the invoice generated with this extension works for both logged in and out customers. So, there will be no barriers for you to get paid. In a nutshell, Custom Invoices Generator for Magento is the best solution for saving time and efforts, and even our nature – electronic letters are very eco-friendly :). So, make the job done and let this Magento extension take care of your payment requests to build the long-term relations with your clients! Also, if you have some questions regarding this plugin, please, feel free to contact the Support Team. Company News, Product Release, Tips. permalink.